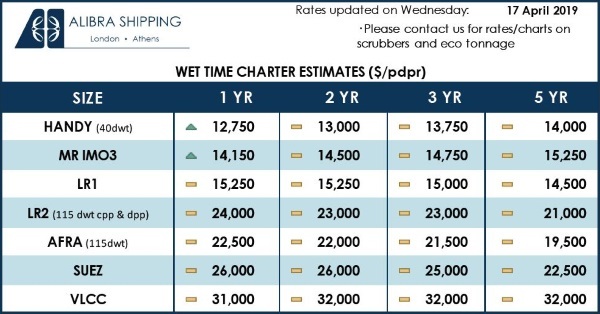 It’s been a turbulent few months in the dry bulk market and things are bound to continue this way. 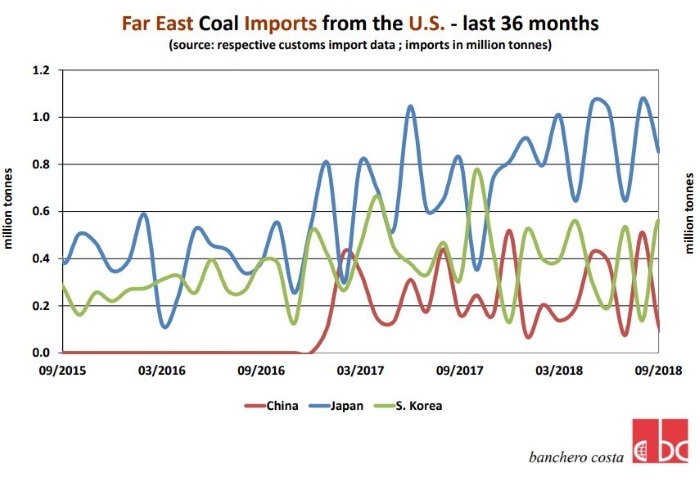 In a recent report, shipbroker Banchero Costa said that “in the wake of trade war uncertainties and China’s subsequent imposition of a 25 percent tariff on imports of U.S. coal in August, Chinese imports of U.S. coal have fallen 5.5 percent year-on-year to 2.1 million tonnes over the first 9 months of 2018 based on China’s customs data. 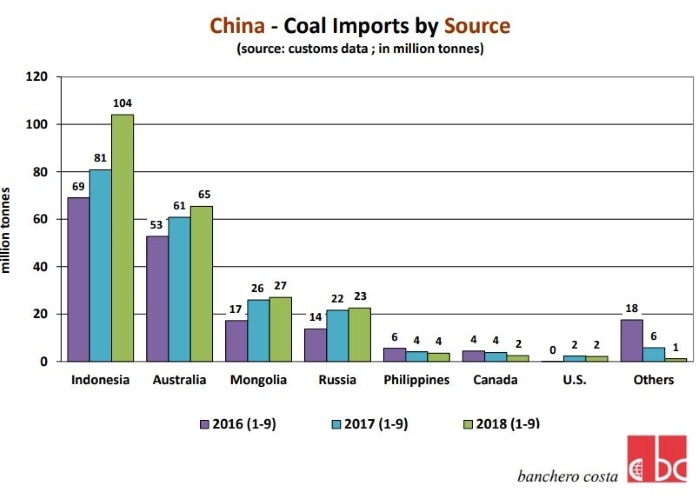 This stands in contrast to overall positive growth in China’s total coal imports, which has increased 11.1 percent year-on-year to 251.4 million tonnes over Jan-Oct 2018”. Banchero Costa noted that “U.S. coal shipments to China are expected to see even more lacklustre results in subsequent months, with Reuters reporting no coal from the U.S. was discharged in China in October, based on vessel-tracking and port data compiled by Refinitiv. 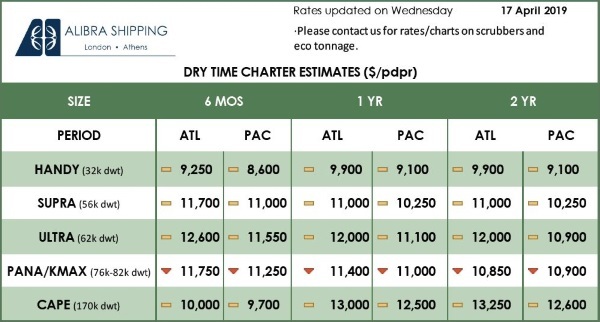 While two cargoes from the U.S. totalling 212,000 tonnes were unloaded in China this month, both cargoes had left the U.S. before the tariffs took effect on 23 Aug. To deal with the loss of the Chinese market, the U.S. has tried to increase coal sales to other Asian destinations, with some success. According to Refinitiv data reported by Reuters, India imported 13.5 million tonnes of coal from the U.S. over Jan-Oct 2018, an increase of 36 percent year-on-year, although India’s imports of U.S. coal have trended lower since a peak of 2.3 million tonnes in May”. According to Banchero Costa, “τhe overall increase in India’s imports from the U.S. is likely driven by captive power plants tied to the country’s industrial users, which are more reliant on coal imports as Coal India struggles to even meet demand for the power sector. Captive power plants are also more likely to demand the higher grades of coal supplied by the U.S., in order to maximize output from their plants. India’s growing steel industry may also have contributed to growing imports from the U.S., which also supplies high value coking coal”. 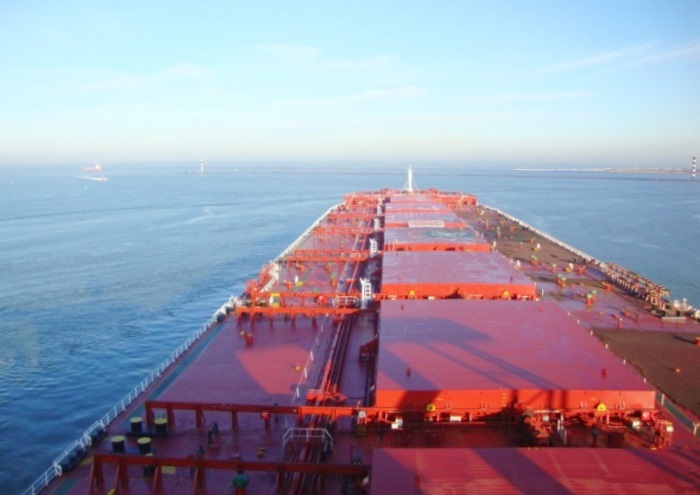 The shipbroker said that “trade data from Japan’s Ministry of Finance also shows imports from the U.S. increasing a strong 28.4 percent year-on-year in the first 9 months of 2018 to 8.0 million tonnes, even as Japan’s total coal imports decreased 1.0 percent to 140.8 million tonnes. However, U.S. coal sales have not had the same success in South Korea, with the Korea International Trade Association (KITA) reporting a 16.1 percent year-on-year fall to 3.8 million tonnes for U.S. coal shipments to South Korea over Jan- Oct 2018. This may be linked to South Korea’s adoption of a new 0.4 percent sulphur limit from July for thermal coal used in their coal power plants, which favours coal from Russia and Colombia”, Banchero Costa concluded.